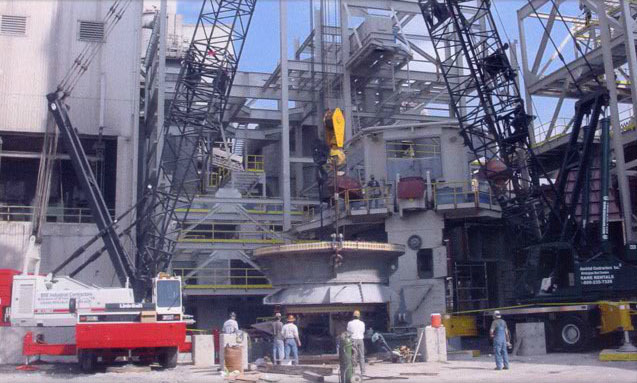 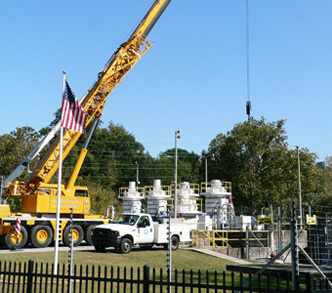 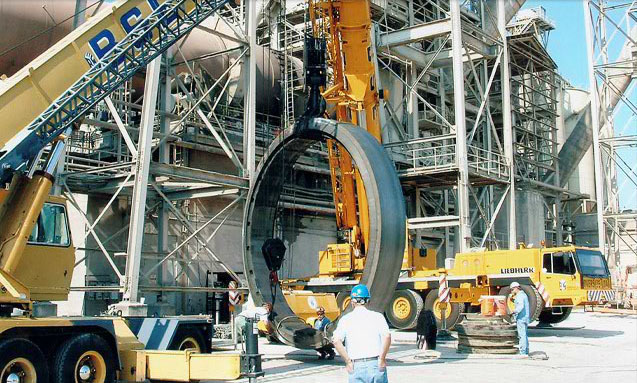 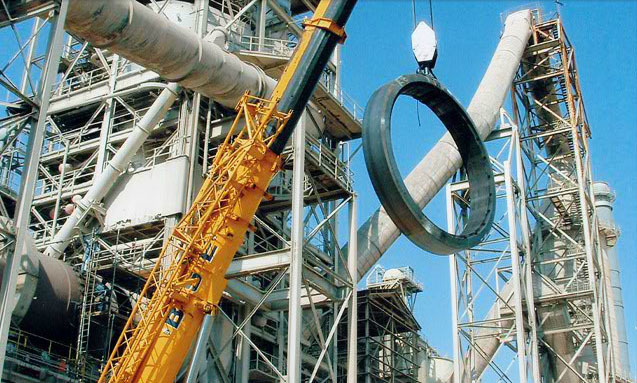 crane-service - BSE INDUSTRIAL CONTRACTORS, INC.
BSE offers a varied line of cranes that can be used for the most difficult of projects. 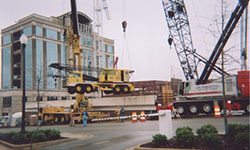 We have cranes ranging from 18-ton Center Mounts to 300-ton Truck Cranes. 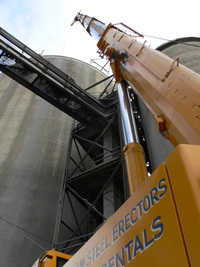 Also available are All Terrain Truck Cranes up to 200-tons. 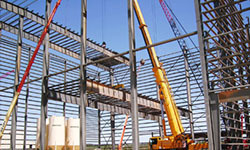 Rough Terrain cranes up to 75-tons may be rented bare ( crane rental only ) or can be rented as operator maintained – including fuel, oil, rigging and insurance. 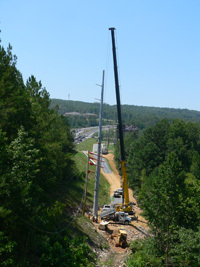 Using our Brand New Grove GMK 4115 115-Ton All-Terrain Hydraulic ATC ( All Terrain Crane ), we set 124′ concrete utility poles. 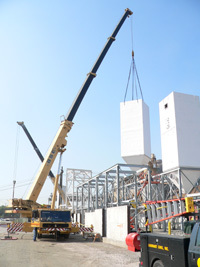 In setting the 22,000 lbs. 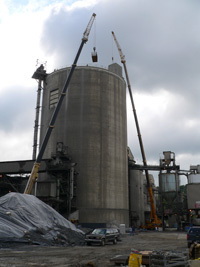 baghouse we used our GMK 5175 175-Ton Grove Hydraulic Truck Crane. 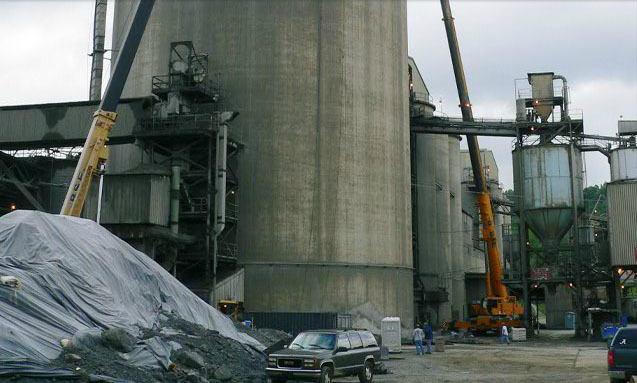 All BSE operators have class A CDLs, are CCO certified, OSHA and MSHA certified. 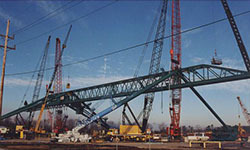 And all operators and oilers are members of Local 312.